The blue catfish action in the spring months is amazing. Nothing beats the red hot action that comes with fishing for blue catfish in the months of March, April and May. Not only is the fishing amazing but you can catch catfish in some very unlikely places. 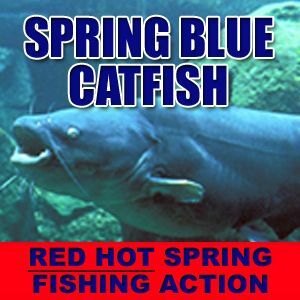 The Spring Blue Catfish Techniques ebook covers in detail how to locate and catch blue catfish in the spring in easy to follow step by step details. Chad Ferguson, professional catfish guide, spills all the secrets to locating and catching catfish in the spring months in this ebook.